High Cooling Performance FROSTWIN LED offers CTT “Core Touch Technology” quick thermal solution. Cool appearance fan offers aesthetic appreciation. Dual super silent 92mm LED fans plus with one PWM function offer a perfect balance and airflow requirement. 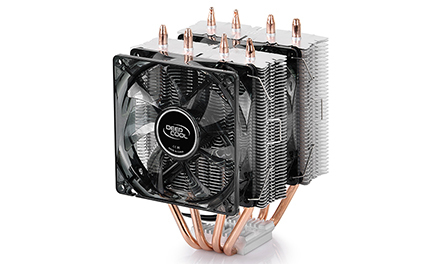 Great compatibility has made FROSTWIN LED the ideal selection for mainstream CPU. 4 sintered powder heatpipes conduct heat from the processor quickly to protect it from overheating. Twin tower heatsinks give superb cooling performance. Patented Core Touch Technology (CTT) gives perfect contact with the CPU surface. 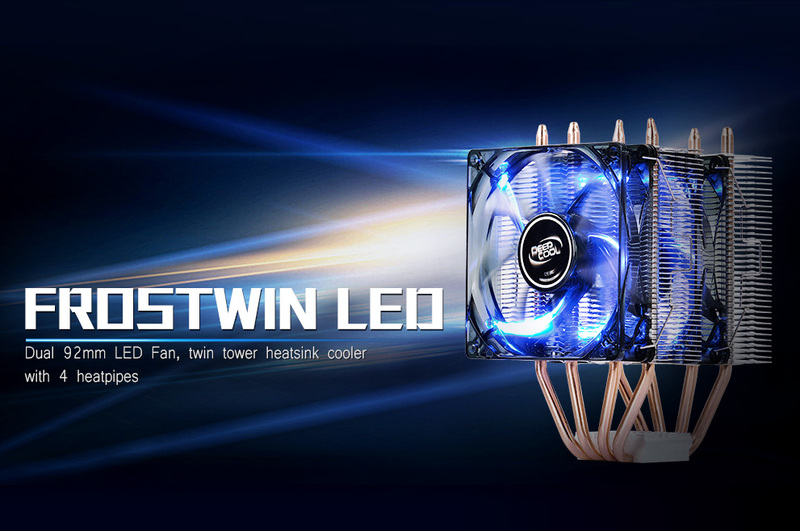 Dual 92mm blue LED fans, one with PWM function, offer a perfect balance between airflow and noise. Perfectly compatible with all slots under 40mm height Memory. Equipped with universal installation solution, easy to install. Perfectly compatible with all slots under 40mm height Memory. Equipped with universal installation solution, easy to install.